Doing small things in a great way . . . 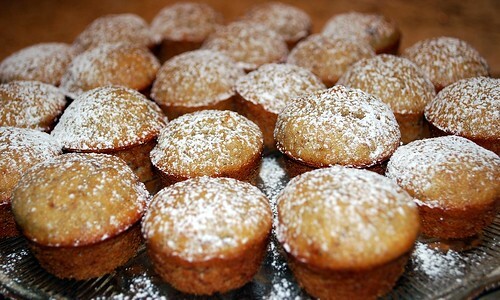 Here is a fun mini-muffin recipe that I made with some more ripe bananas I wanted to use up. It is based on my Banana Cake recipe, but I’ve added nuts and spices to make a tender, hearty, cozy morning treat. Preheat your oven to 350 degrees. 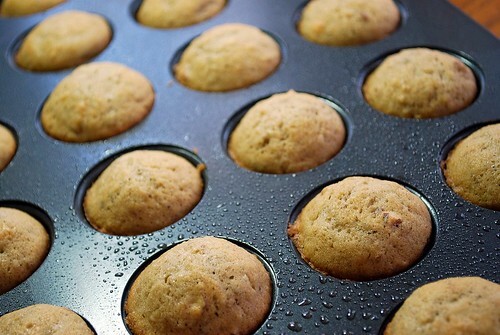 Grease your mini-muffin tin with cooking spray or line each cup with a parchment liner. Measure all ingredients into a large electric mixer bowl. Blend for 30 seconds on low speed, scraping down the sides of the bowl. Next, beat for three minutes on high speed. Fill mini-muffin tins about 2/3 of the way full. Bake 15-20 minutes, or until slightly golden brown around the edges. Cool completely on racks. 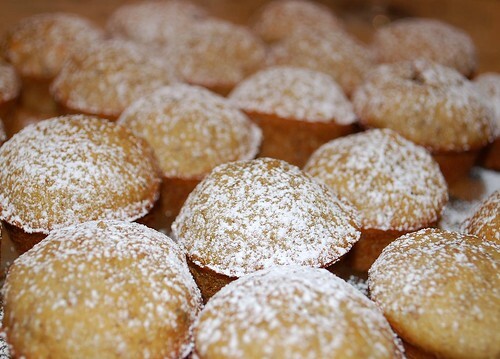 When muffins are completely cool, sprinkle with powdered sugar, and serve! 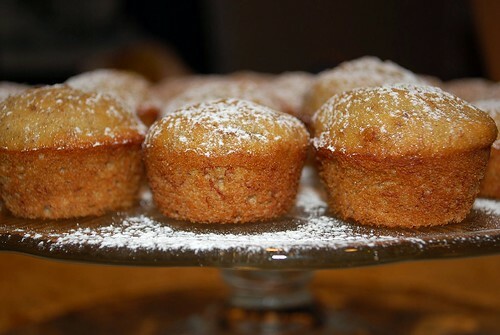 Note: If you would like to adapt this recipe for regular-sized muffins, simply increase the baking time to 20-25 minutes!